Thanks to 10th NEXT and NWEP for organizing the event last night. Patrick you did a great job of keeping it rolling. I was asked to pass on a suggestion that one of the attendees made to me after the event last night. They found it difficult to meet all the candidates especially those that did not get around the room to each table. She suggested something like a trade show set up where each candidate has an identified location where people can come to each table and talk to those they wish to meet or find out more information. It sounds like a pretty good idea. I am looking forward to the next debate where we will get a chance to discuss issues affection our city. Thanks again! Loved the NWEP/NEXT candidate event at Lafflines Theatre last night! Great turn-out, great venue, great forum! And thank you to MC Patrick … loved the whistle!!! 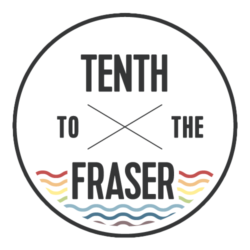 Thanks to 10th to the Fraser, NWEP and NEXT and Lafflines Theatre(Barry) What a Fun Fun night. You had laughter, good high pressure campaigning and working the room was the interesting part from my view. There were people who were Eagles members at one time in this building where I began, and others who played hockey with my son, and some knew me from the neighborhood. I think I am slowly getting to the polish mark and if not this night I winged it and spoke from my heart.